I have started with wargaming hobby about 20 years ago, when my friend Petr Anderle told me, that owners of well known gaming magazine Score looking for a shop assistant in a geek store in Prague. 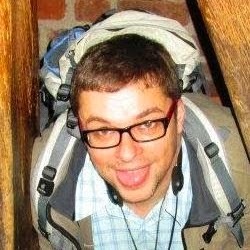 I liked the idea, as I was fun and player of Draci Doupe RPG game in 90's - Czech version of Dangeons&Dragons, so I have passed interview with Nick Pendrell and Oldrich Hejtmanek and started to work there as of 1996. This way I got into the Warlord store with Bob Koutsky, my colleague in Ckalova street, Prague 6. First gamestore Warlord location today. Čkalova 7, Prague 6. Source: Street View, Google 2011. It was really amazing to be in such store, whem I see it from today perspective, as I got chance to sell Magic: the Gathering card game (we have started with The Dark, Fallen Empires and Revised Edition), Games Workshop games like Warhammer, Warhammer 40K, Necromunda, Blood Bowl, Space Hulk, TSR products as Advanced Dungeons & Dragons etc. When kids were coming back from school around our store, they came regularly to spend their savings for these expensive games at Warlord, eventually changing cards in front of the store on the pavement. 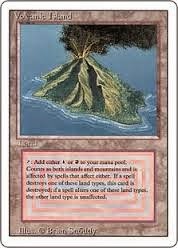 One of my favourite memories of those days is, when one kid voluntarily changed Vulcanic Island for two basic lands (Mountain and Island) with explanaition: "I like the arts on the basic land more then on Vulcanic Island and I will get more as one card is less then two, isnt't it?". I was trying to convince poor boy not to change Vulcanic Island, but he didn't listened to me and made his schoolmate really happy by changing card, which cost was about 180 CZK for two card for about 2 CZK. After the first year in Prague 6 Score decided to sell Warlord to Oscar Logger, who took over already moved store to Hastalska street in center. I am still proud, I have been working with Oscar as he gave me chance to do sales and I had chance to start supply local stores with Games Workshop products as first wholesaler in Czech Republic. The story of Warlord game store, first store in Prague continued till its end, when it was closed by another company after few years of stagnation. 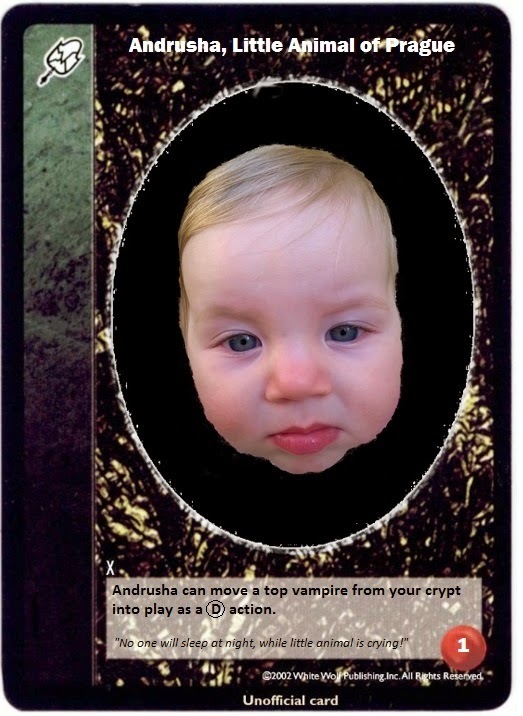 In the years between I was playing card game Vampire: The Eternal Struggle (V:tES) and also I became organizer and Czech NC later on. I have organized with Black Knight V:teS European Championship (EC) 2008, major V:tES event, where we had almost 200 players coming to Prague from more then 20 countries around the world. 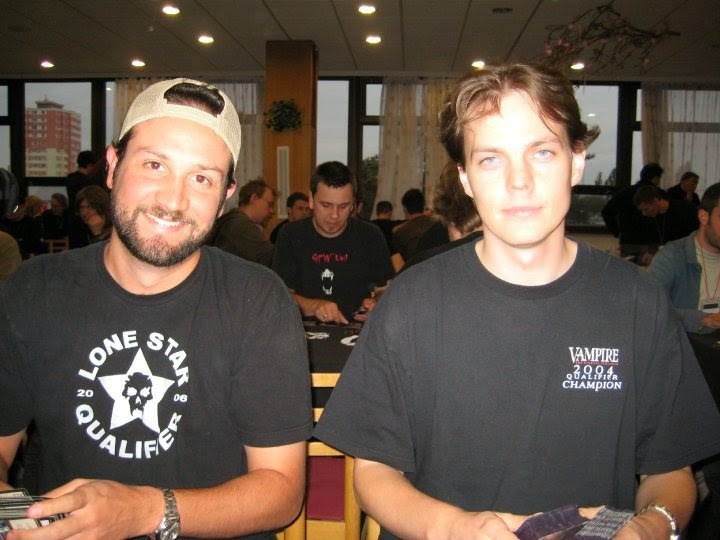 Well, I am still missing my Vampire years and what is worse, I am missing many fantastic guys among V:teS players like Szewski, ISI, Martin Waynmayer, Ben, Robin and David, LSJ, Hugh and many more. I am keeping fingers crossed for the community to rise back from dust like phoenix again! When I was working for another club Black Knight (Cerny rytir), I have visited fair in Essen - Germany and found lovely miniature game with soldiers and tanks - Flames of War. Immediately, I asked owner Ivan Stanoev to stock Flames of War and I have started to sell it. Community slowly developed, but the sales was not so good as with Warhammer. After leaving Black Knight, I have got chance to start new store Mephit with my friend Karol Magda and his wife, where we also included from the beginning Flames of War and we have received wholesaler status from Battlefront Miniatures for Czech Republic. After settling down the business, I have decided to stop working there and sell my part, as I needed more time for family and my first born daughter Andrea. In meanwhile, I was travelling to Poland, Austria, Finland and Serbia (ETC, Novi Sad), where I have met many fantastic and friendly guys, I hope I can call friends and enjoyed games with them as never before. I am also proud to organize two Czech Flames of War Champioships (2012, 2013), Mid War tournament in Lesany (2014) and many smaller events. Some time (especially after my daughter was born), I was not able to play at all. Now, I am slowly coming back and enjoy games as regular geek and wargamer in Ogre's Lair (Ogri Doupe in Czech). We are playing Late War, Mid War and Early War periods usually each Wednesday from 6 PM. If you want to visit us or play with us, contact me first as I do not have always time. Anyways, I would like to say "Thank you!" to all fantastic people I have met during my active years in gaming. I am looking forward to meet new people in future, especially this year on Flames of War ETC Prague in August 2015! See you in Prague! I have bought my first mini and RPG rules back in Hastalska Venue. That was Ral Partha's Lord Soth from DnD Dragonlance series and of course Dragonlance Tales of the Lance, the legendary Blue Box, including ADnD Rules. Back in 1996 for my first or second payback from CSA. This is were all this mini crazyness started.